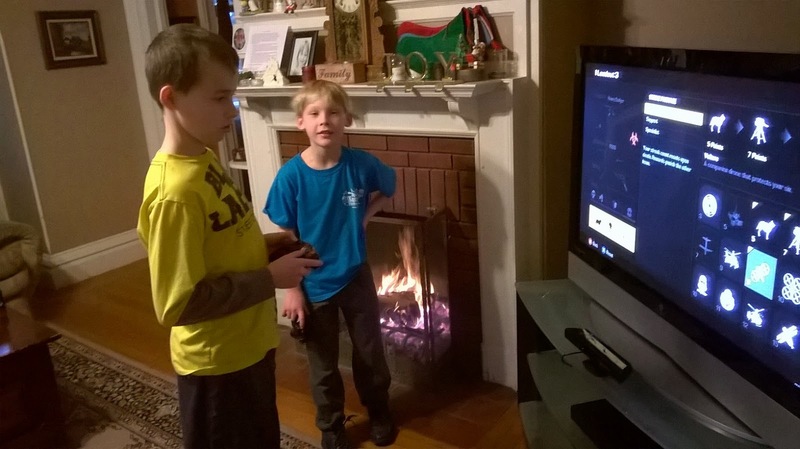 The Favorite Son and friend hanging out and playing X-Box. Forget about mastery. I have to admit, there have been more than a few things about parenting that it has taken me a long time to even understand. One of those things is just the nearly addictive nature of the new gaming systems and video games. For The Favorite Son (TFS), I've struggled to strike a balance that I can live with among school work, extra-curricular activities, responsibilities at home, and gaming systems. On one hand, I want TFS to be able to unwind a little or have a way to entertain his friends during "hang-out's." On the other hand, well, when there's been a gaming system available, TFS tends to play it to the exclusion of everything else. That's a problem for me. 6) The Favorite Son understands that failure to comply with Agreement may result in the removal of the X-Box and temporary or permanent removal of X-Box from our house and The Favorite Son’s privileges to use X-Box. After I printed a couple of copies, TFS and I sat down and we started to read it together. He said, "Dad, this sounds silly." I answered, "This is the kind of agreement that grown-up's make." When we finished reading it, TFS took the pen, looked pensively out the window, and did not sign the contract. I asked, "Why aren't you signing." He replied, "I'm thinking about it. Isn't that what grown-up's do?" It's too early to tell how much benefit The X-Box Contract will be, but I'll write another blog in few weeks to update our progress.